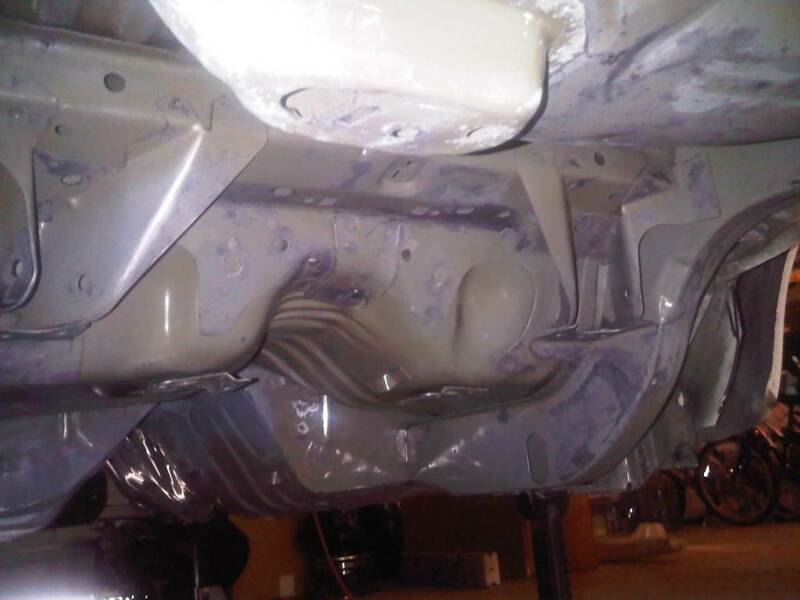 This journal covers about TWO weeks of work involved in getting the rear underside of the floor in primer. 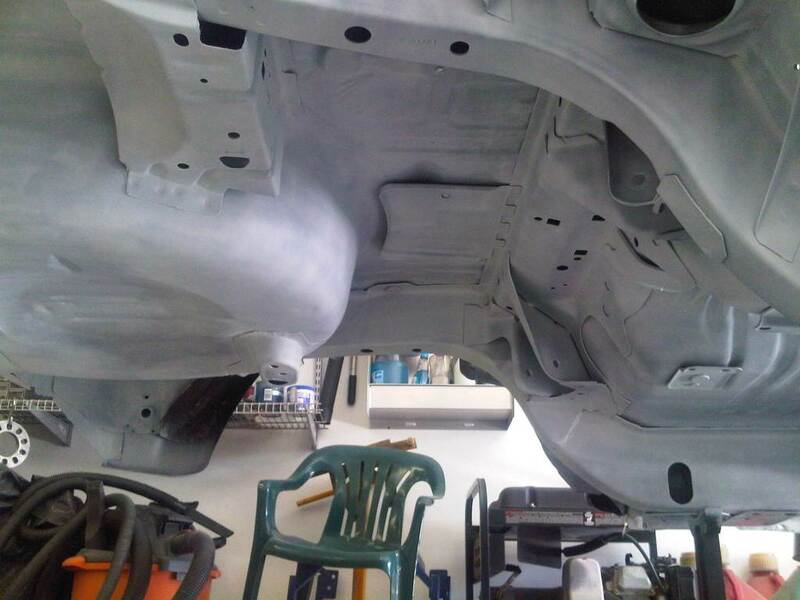 I encountered dirt, rust , grease, oil, undercoating, and all manor of tight crevices that can not be reached by power tools. 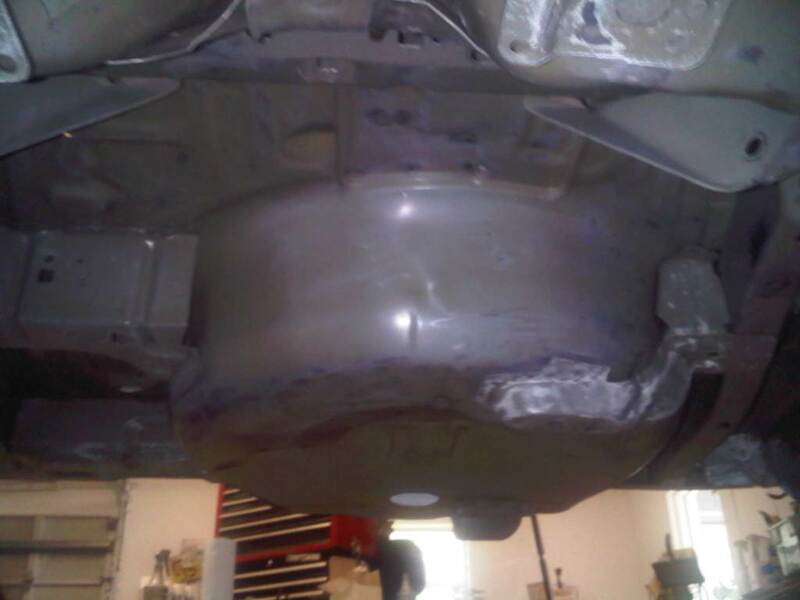 I began by looking at the spare tire well area. 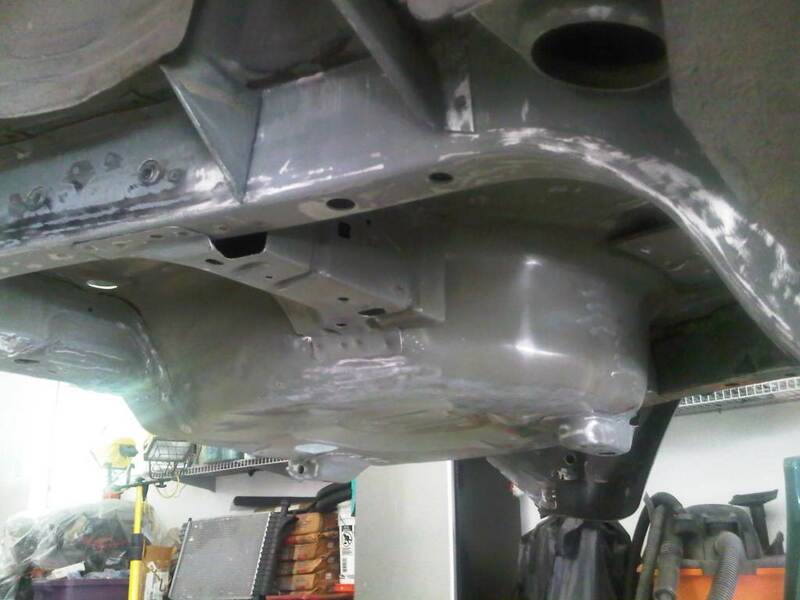 It was covered with dirt, grease, and thousands of tiny rust bubbles that had to be removed. 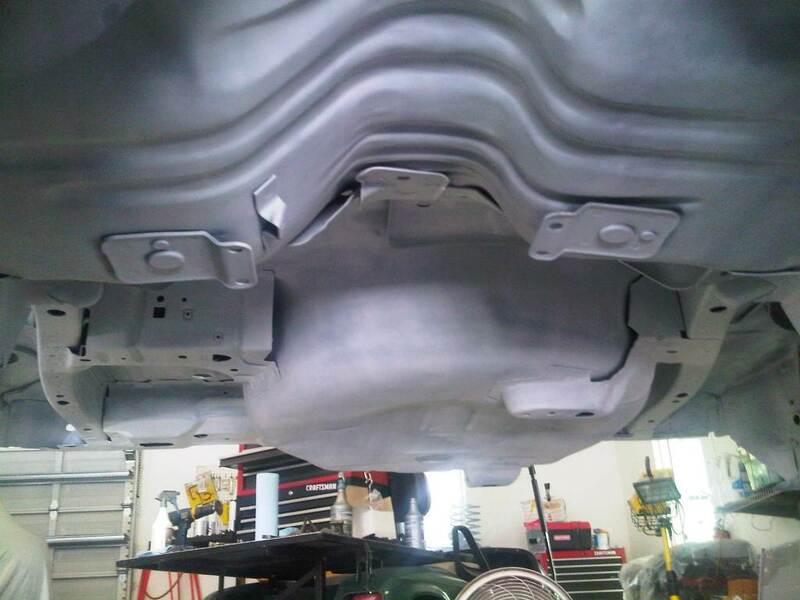 The wings on the sides of the trunk floor were next. 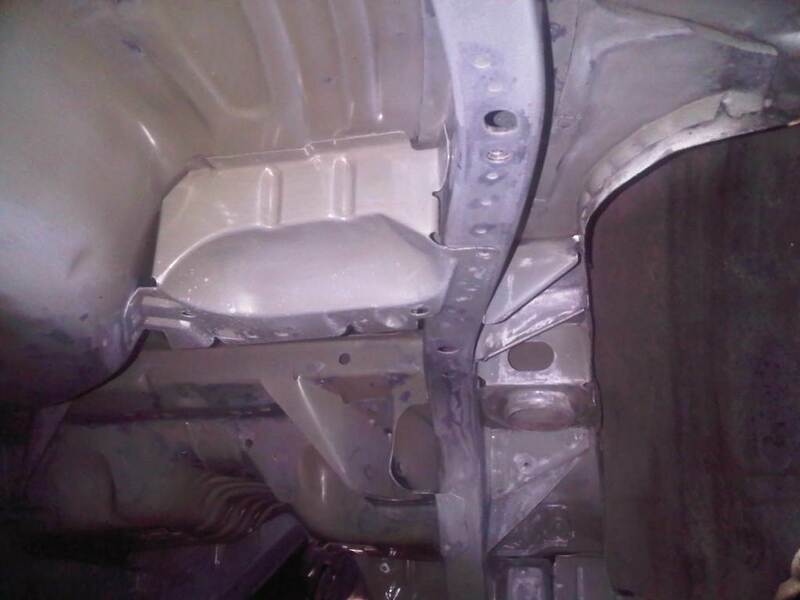 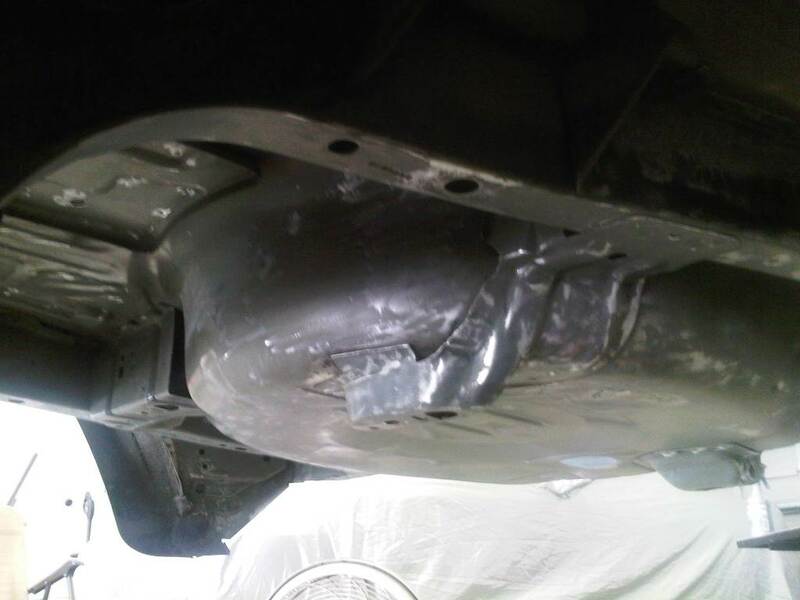 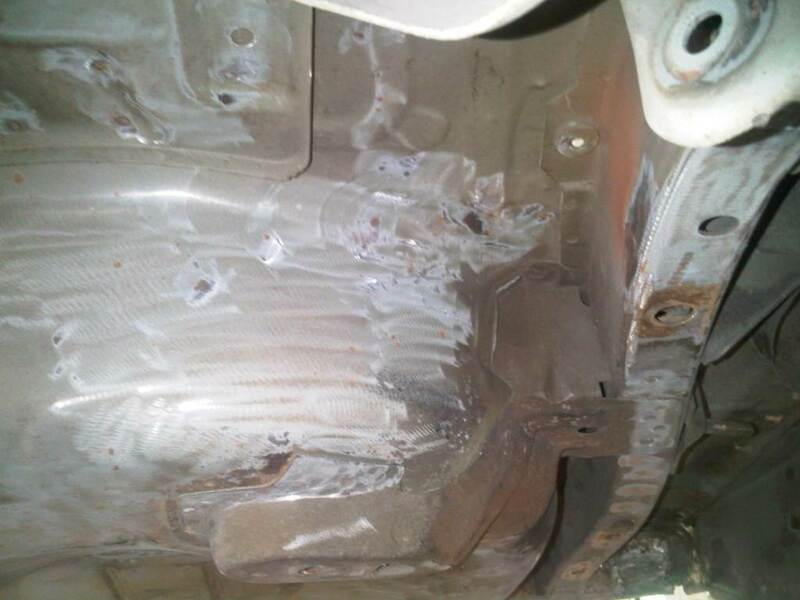 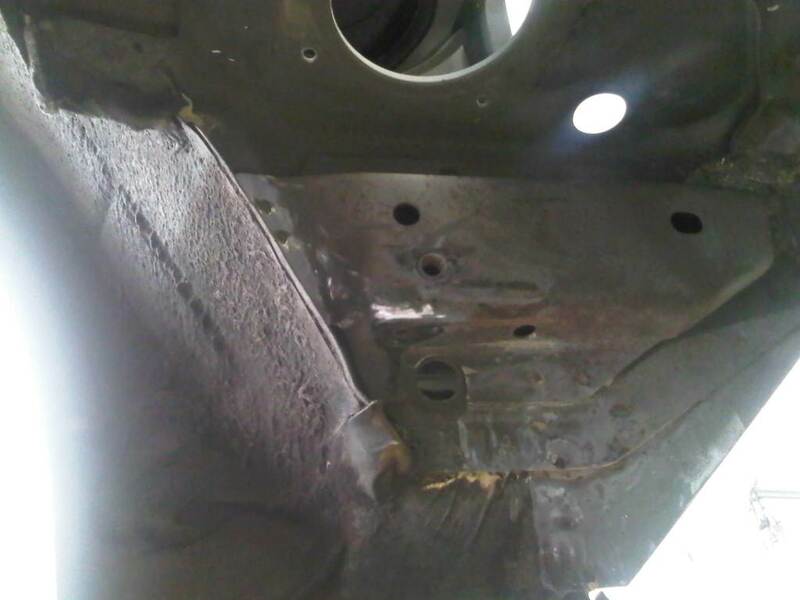 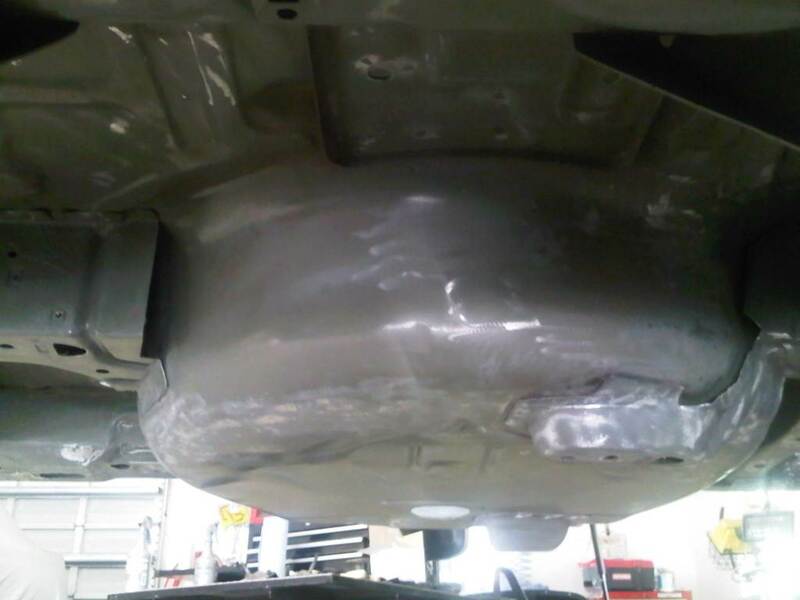 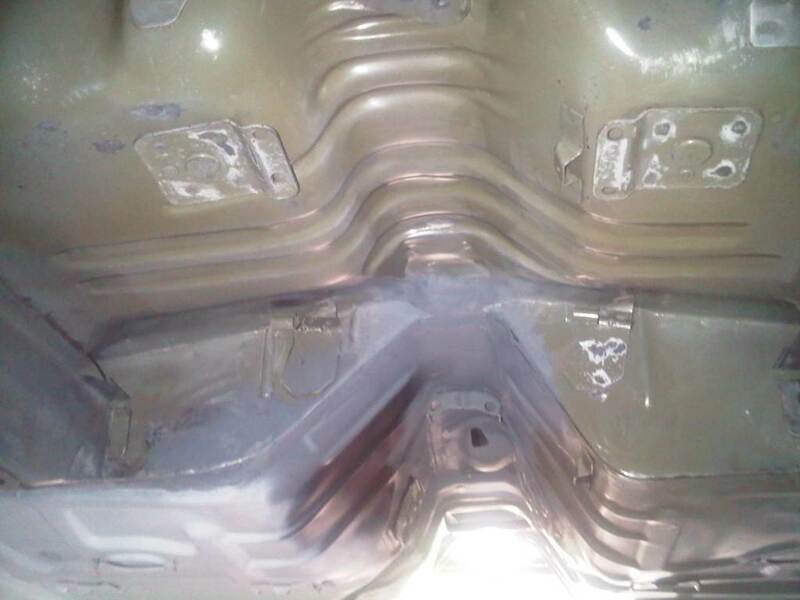 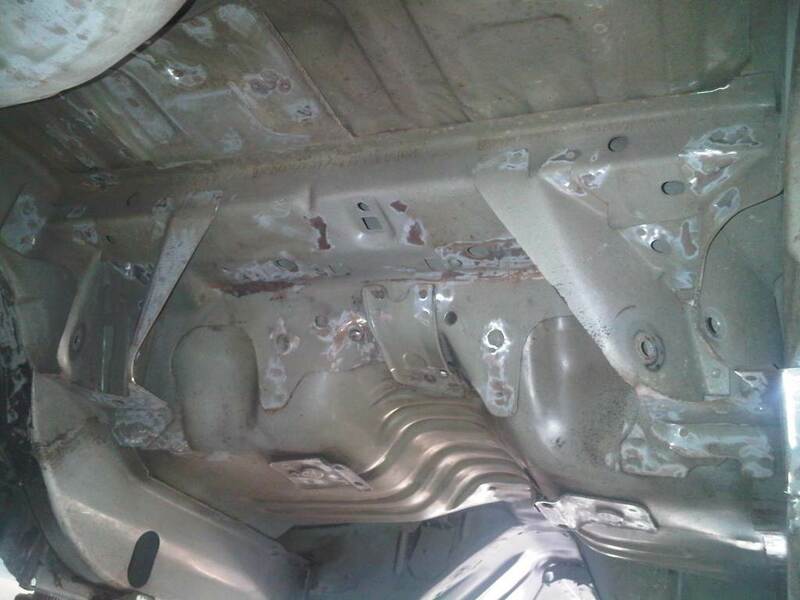 The passenger-side had a lot of rust and seam sealer, while the drivers-side seam sealer was missing. 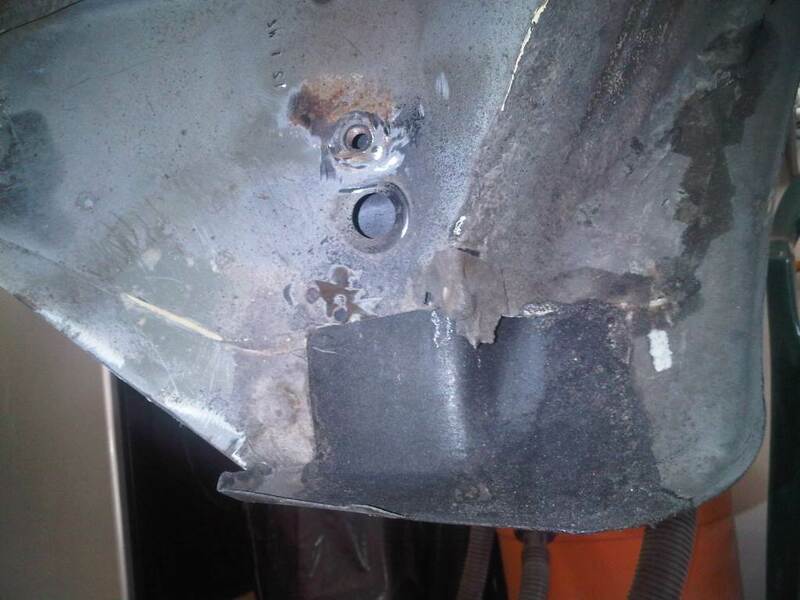 I guess they forgot to put it back on when the new quarter-panel was installed in '97. 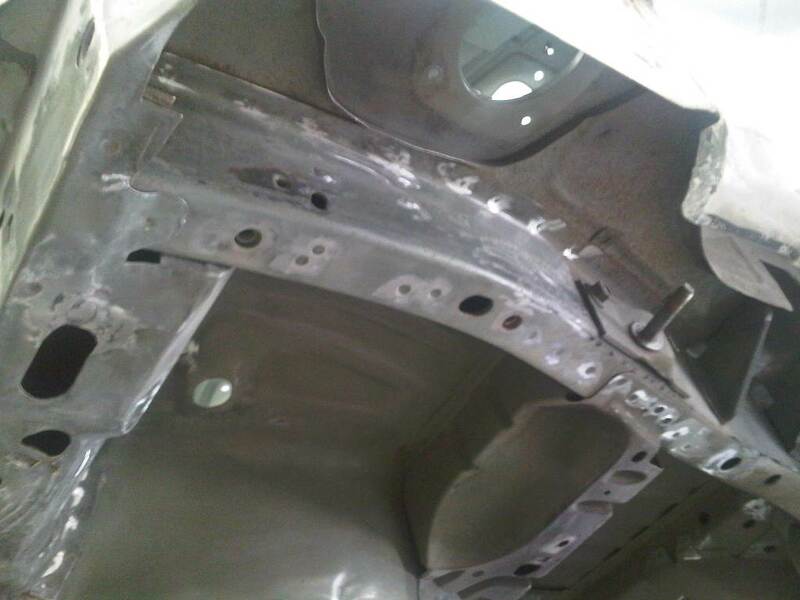 The floor between the frame and wings were both rusty, as were the mounting areas for the upper control arms. 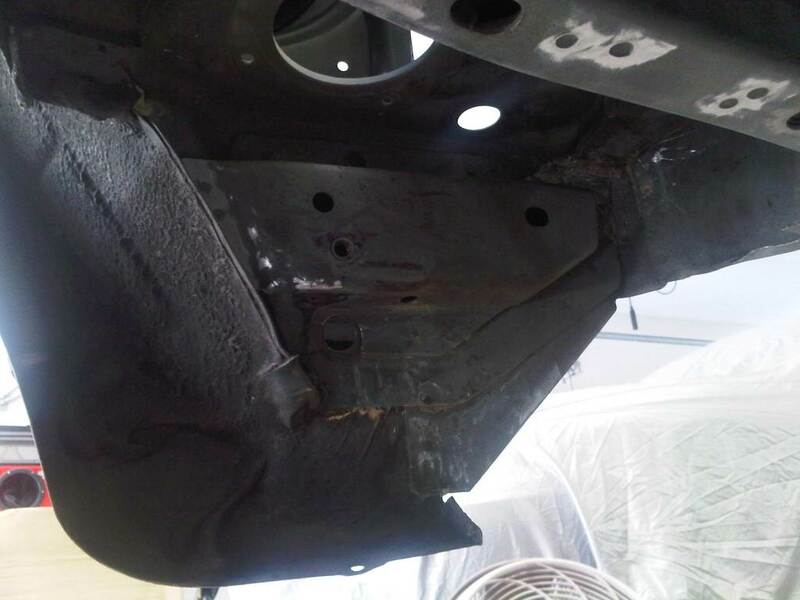 After making some headway on basic dirt and grease removal, I could turn my attention to the rust. 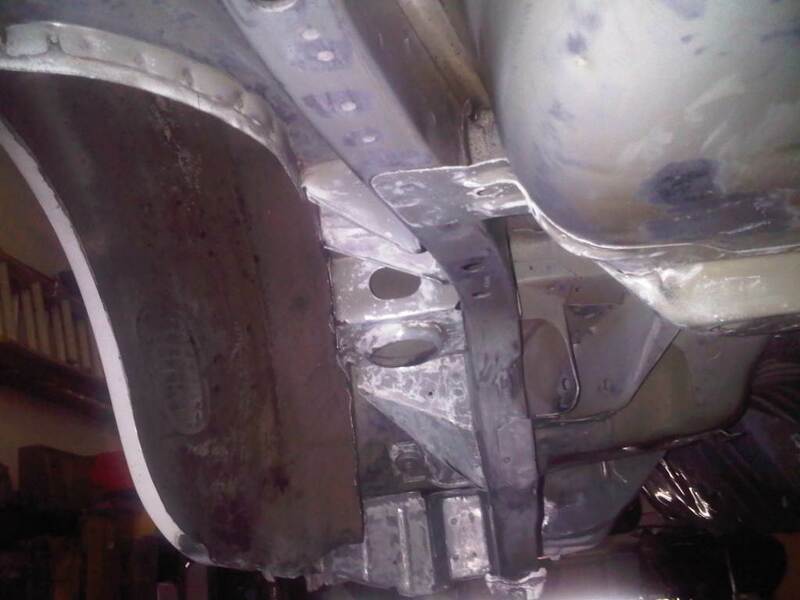 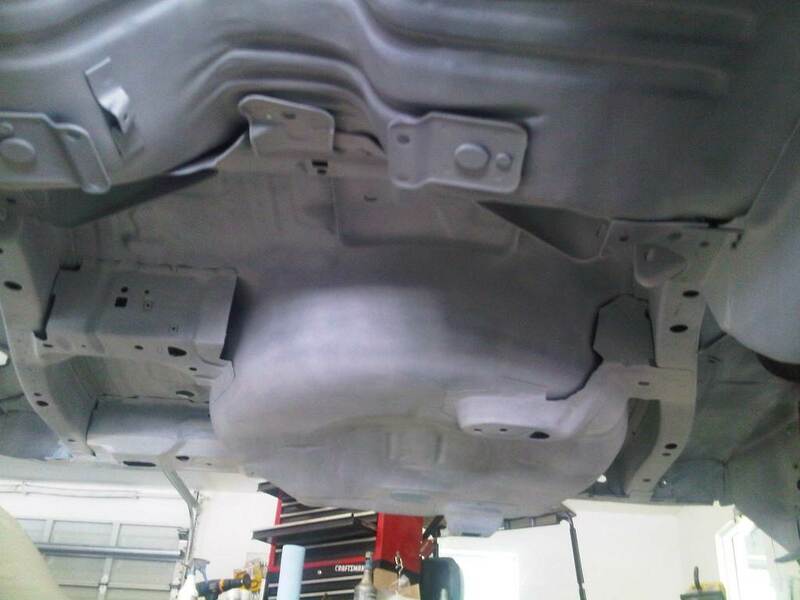 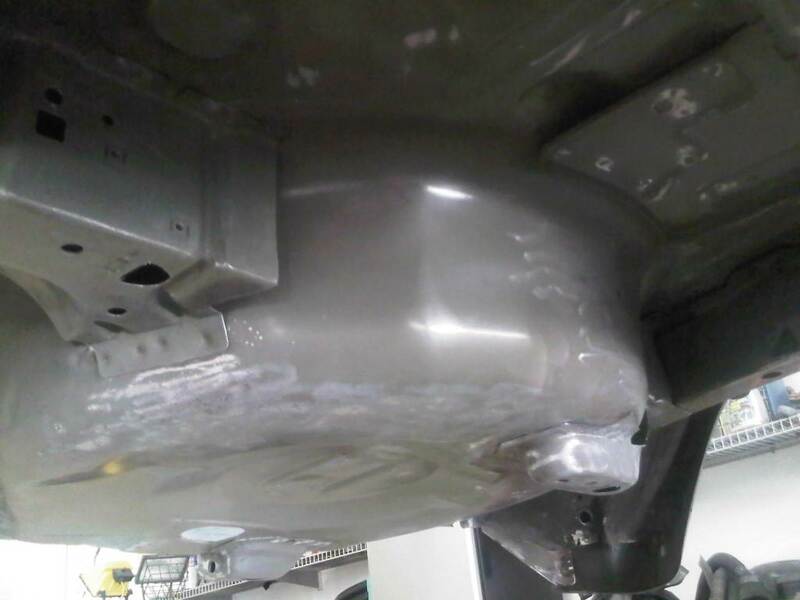 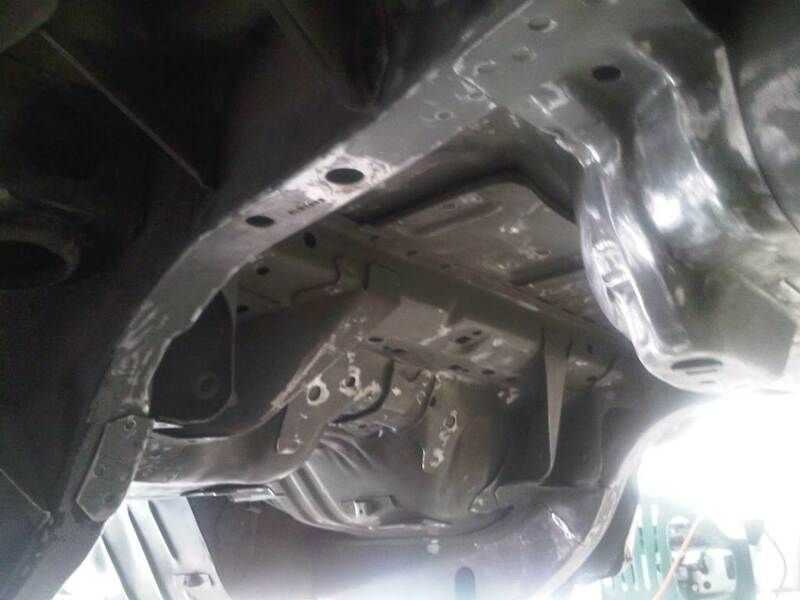 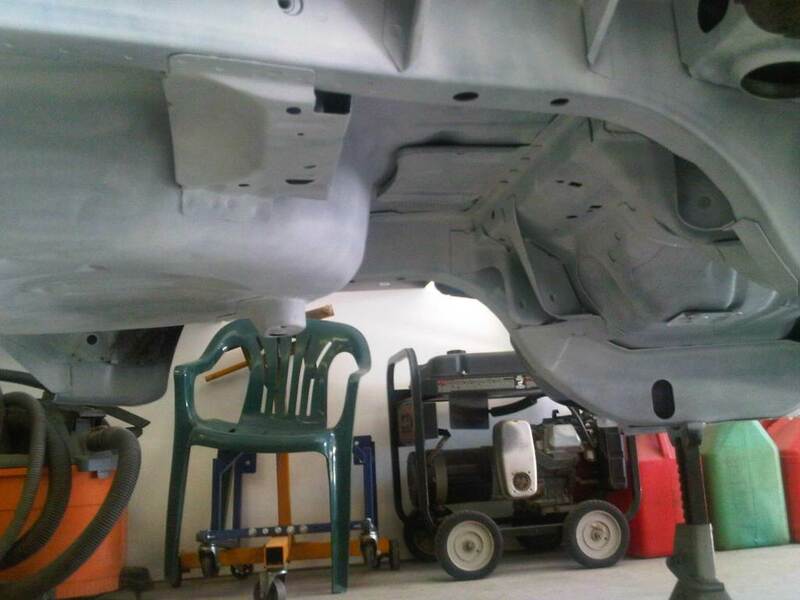 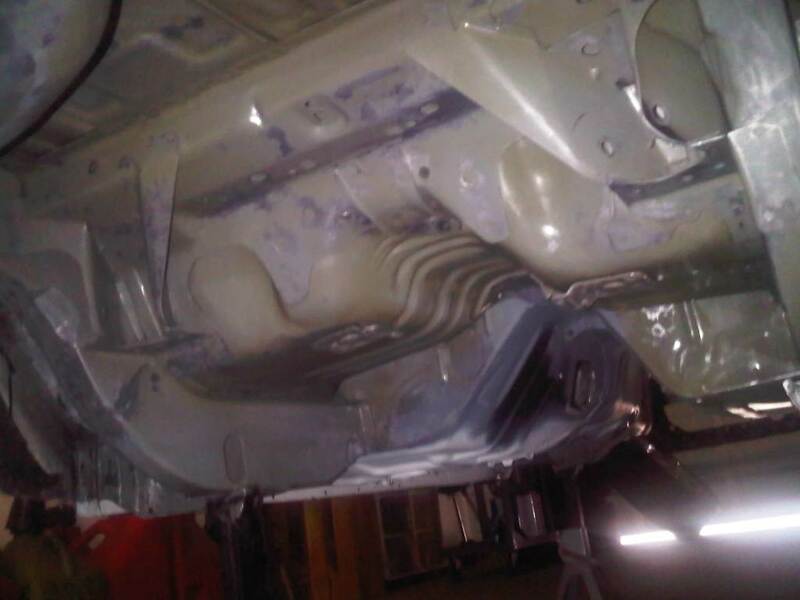 Next, my attention turned to the removing the rust on the underside of the floor and on the control arm mounting areas, as well as the transmission tunnel and frame rails. 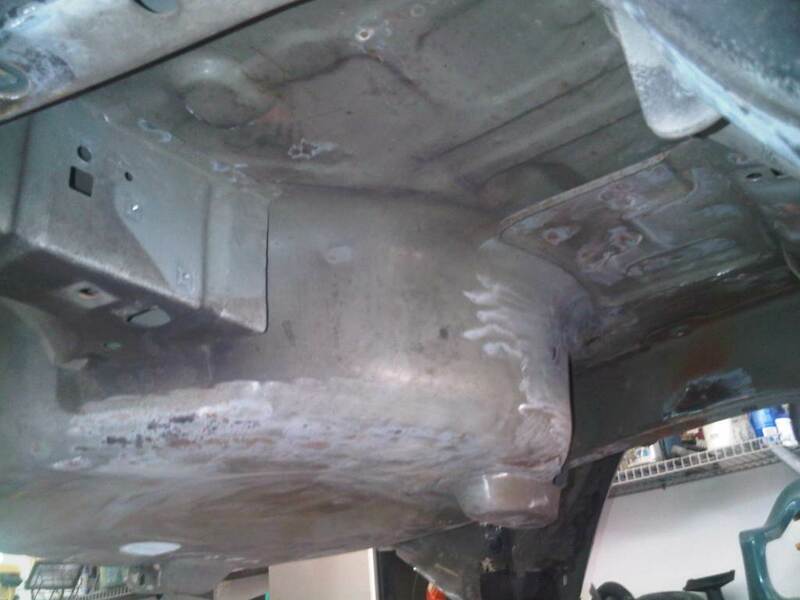 After going over the rust and spot welds with a grinder, I coated the entire surface with a rust remover solution and allowed it to do its work. 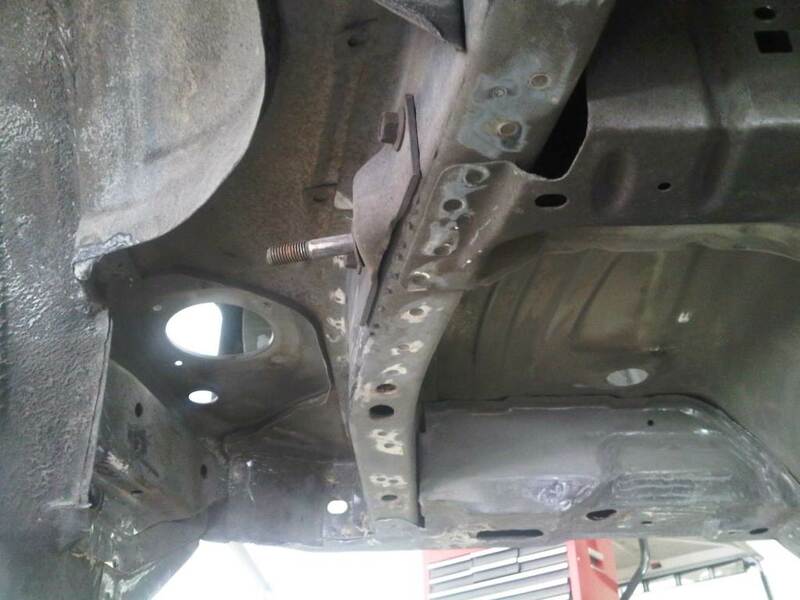 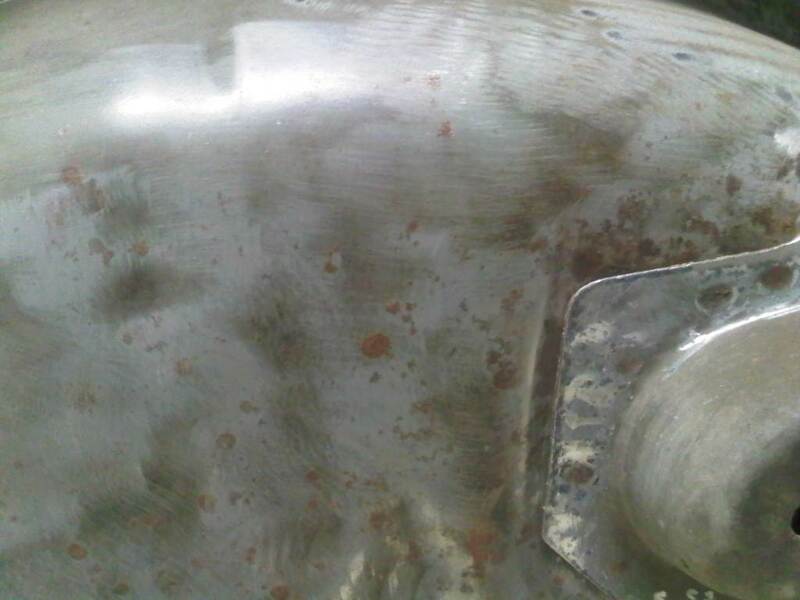 It took several applications to remove all the rust with a considerable amount of scrubbing between each application. 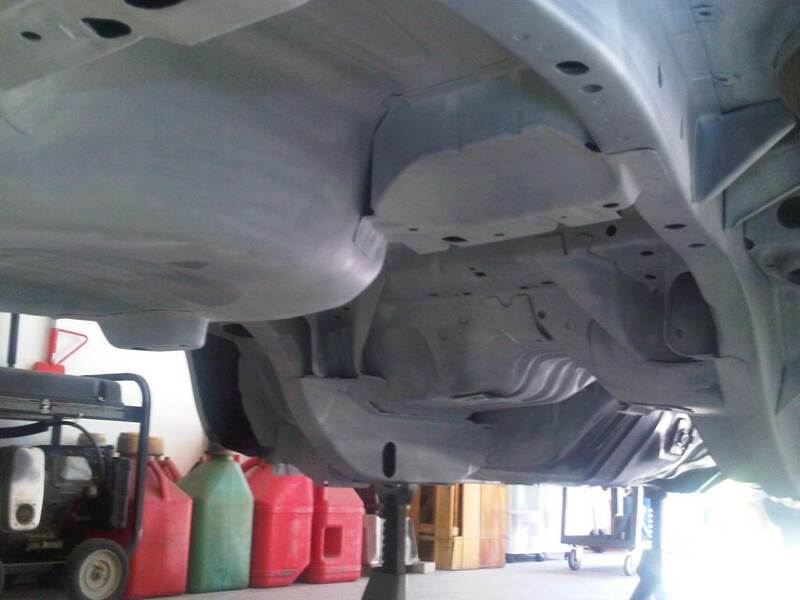 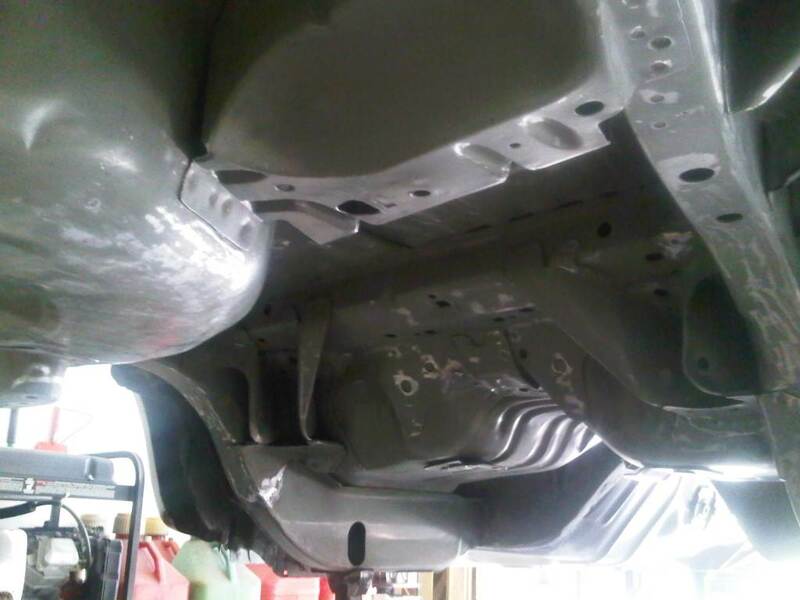 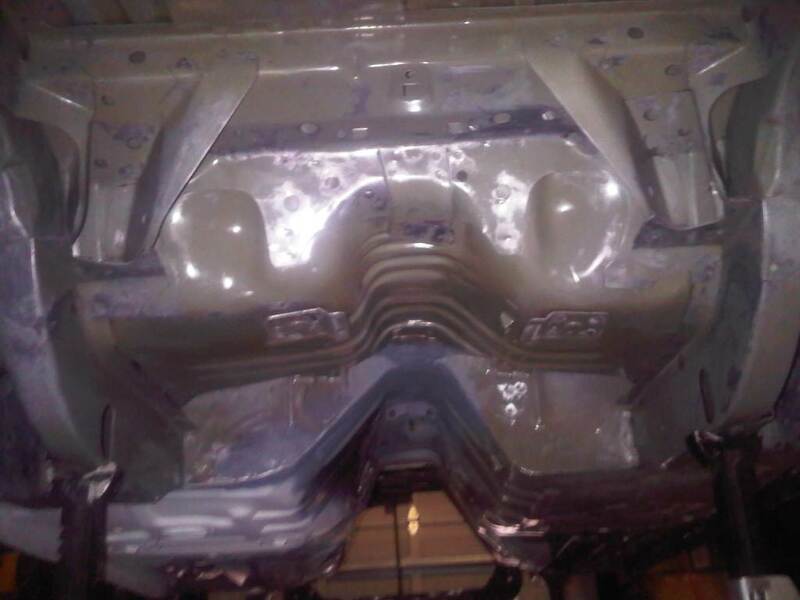 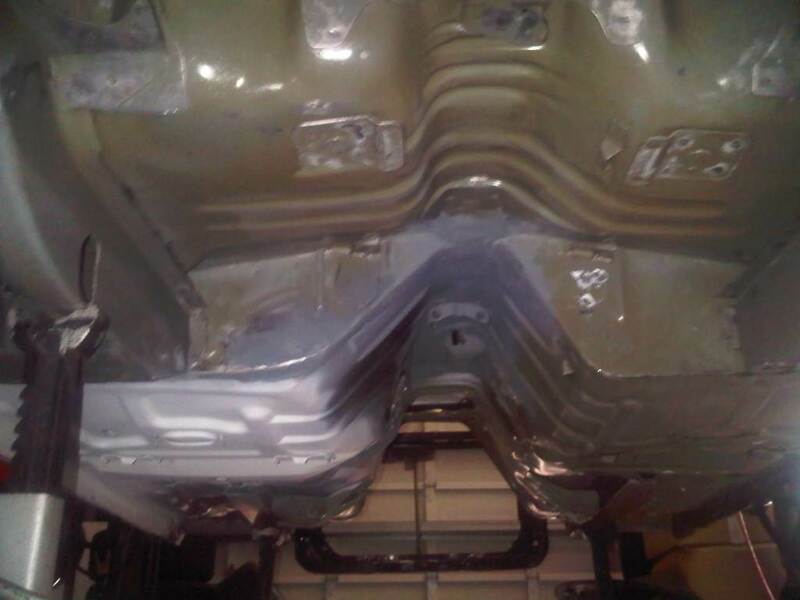 After the rust was finally gone, the entire underside was cleaned with a scuff pad and paint thinner, then sprayed with several coats of primer.